penang lost its ‘roaring tiger’ – welcome! 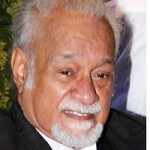 first it was irene fernandez, who passed away on 25 march this year… and now this… KARPAL SINGH, lawyer and member of parliament (MP) from the political party, DAP – who passed away on 17 april. yesterday morning i was not working, so i woke up at 9.00am. as always, the first thing i did after i woke up is to get online, going to facebook. imagine my shock when i saw so many postings talking about karpal’s death. i was stunned, at first thinking it was not true but going to the many online media, i read about his death too and realised it was true. how sad. 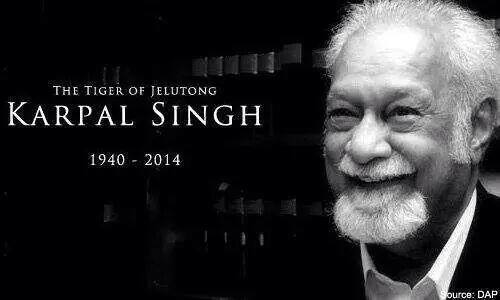 karpal singh, who is fondly known as ‘the jelutong tiger’ (jelutong being the area he first served as MP), was a very well known personality. i like him because he speaks without fear or favour. he was a man of principle. he stands up for what is right, did not give a damn to what others think. i had seen him in person and heard his speeches many times due to the many ceramah (forum), protests, gatherings that i attended. his speeches was never boring. he was always welcome with a thunderous applause and at times cheering and whistles when it was his turn to speak. this showed how much he was loved by the people. his death was indeed a great loss to malaysians as he was seen to be one who courageously speak up whenever he sees something had gone wrong in the country. he was like a voice for us – the tiger who roars for us on our behalf. we will surely missed him, particularly penangites since penang is his hometown. i will not say more of him since everybody already know so much about him, and you can read so much about him in the media here and there too. here are some interesting links. go to all the local online media e.g. 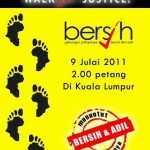 malaysiakini, malaysian insider, free malaysia today, the malaysian times and you will get to read so much about him. it’s not surprise, as rightly so, that his funeral will be at state level. the public ceremony will be held on sunday, 20 april at dewan sri pinang (light street) from 9.00am to 11.00am. if you are free that day/time, do attend to pay tribute to such an awesome extradonaire great man. yeah, why should karpal apologise?